Excuse the mess of my room again, wires/bags etc are always lying around. I have never really seen a backpack that I instantly LOVED, but this faux crocodile (I think? Who knows, never seen a crocodile) one was perfect. It is really big though, which I only realised when I saw the photo of it from the back... hmm. This has its good and bad points, good is that I will be able to use it as you would a 'practical' backpack, i.e. to carry lots of stuff/go hiking; whatever (not that this will ever happen). The bad points however, include the fact that it makes me, the already tiny childlike looking person, look even smaller and even younger. You may think this is silly but two people have said to my face they thought I was seven years younger (thirteen!) than I actually am lately, which is slightly depressing. Love love love this! 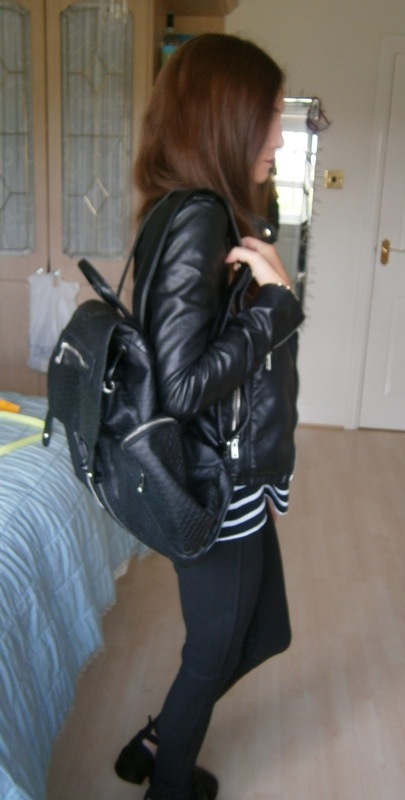 Perfect leather look! PS. We've a $150 giveaway to Nasty Gal on our blog! Check it out, if you'd like! Such a lovely casual, monochrome outfit! Perfection! 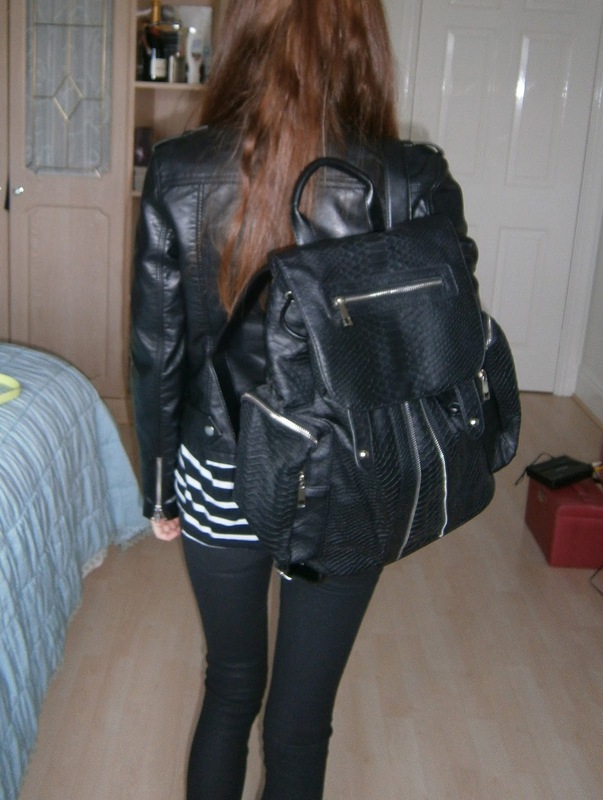 Omg I've had that bag on my Topshop wishlist for a while now. The problem is, I'm not a student anymore so I don't know when I'd use it. But see you with it makes me want it more. It looks great on you! You are BRILLIANT! love the whole look. from head to toe!!! I love your boots and your backpack I've wanted some like that for ages! Real crocodile is seriously expensive. You look adorable. Outlook Tech Support GREAT POST, I like your post. I have bookmarked your website because this site contains valuable information in it I am really happy with articles quality and presentation Thanks a lot for keeping great stuff I am very much thankful for this site .